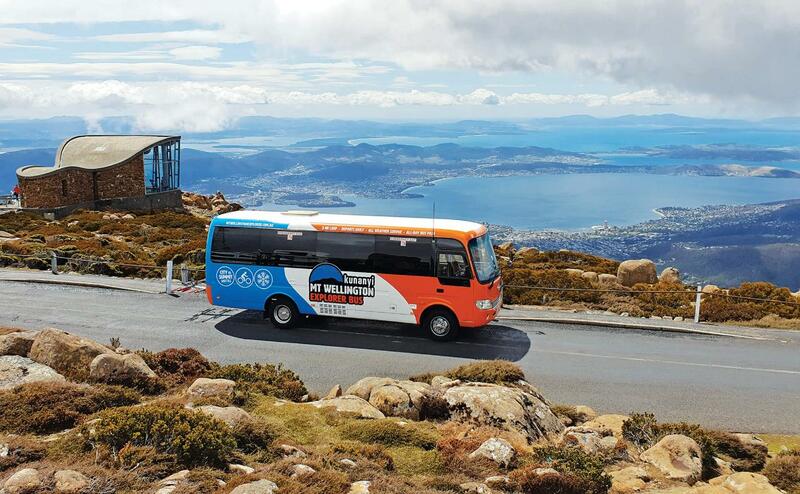 This combined ticket gives you access to two of Hobart’s most iconic sightseeing tours – Red Decker City Loop Tour and kunanyi/Mt Wellington Explorer Bus! 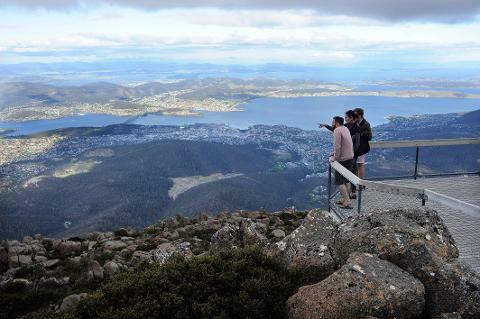 Rising 1270 metres above sea level to the summit of kunanyi/Mt Wellington, experience spectacular views over Hobart and beyond. Return to the city and join the official sightseeing tour of Hobart. 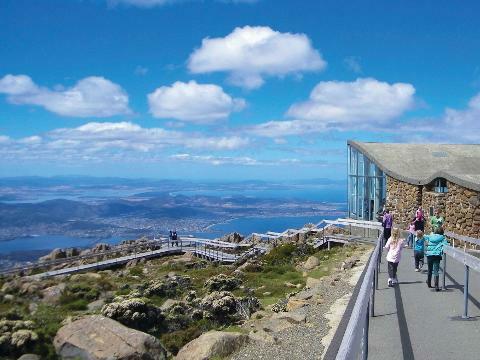 Hop-on and hop-off at 20 different stops featuring the best sights and attractions in and around Hobart. Availability: Tours operate 7 days a week, all year round. Closed Christmas Day (25 December). Includes: 48hr Red Decker City Loop Ticket and an All-Day Bus Pass for kunanyi/Mt Wellington Explorer Bus. Professional and informative commentary. A copy of Red Decker’s “The Official Sightseeing Guide to Hobart”. Departure Point: Tasmanian Travel & Information Centre, on the corner of Elizabeth & Davey Streets in Hobart. Duration: The tour takes 2 hours to complete, including 30 minutes on the summit. Departure Point: Opposite the Tasmanian Travel & Information Centre, 4 Elizabeth Street in Hobart (outside the Hydro Tasmania building). When booking, select your preferred date and time for your kunanyi/Mt Wellington Explorer Pass. Your 48hr Red Decker City Loop ticket is valid for 48hrs from the time you first board the Red Decker bus. The temperature on kunanyi/Mt Wellington is about 10°C cooler than the temperature in Hobart city. There’s a chance you’ll experience four seasons in one day with sunshine, wind and rain - even snow is a possibility! Bring a warm jacket and check the weather before you go. Visit our Map & Timetable page to plan your day on kunanyi/Mt Wellington. There’s also a range of activities listed on our Bushwalking and Mountain Biking pages. There’s limited access to food and water on kunanyi/Mt Wellington. Bring your own or visit Lost Freight Cafe at The Springs or Fern Tree Tavern near Fern Tree Park. 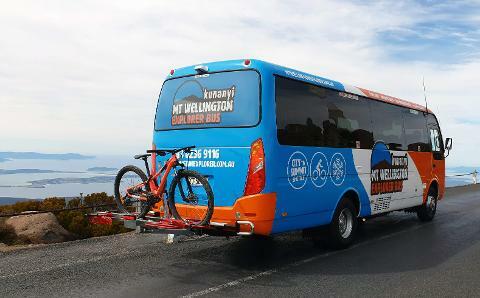 kunanyi/Mt Wellington Explorer buses are able to carry 4 mountain bikes on each departure. To reserve a space for your bike, please make sure to include bike freight ($10 per bike) at the time of booking your bus pass, no less than 30 minutes prior to departure. On the day of travel, please allow plenty of time to make your way to Stop 1 – Brooke Street Pier to load your bike prior to departure. Our primary fleet of buses are wheelchair accessible. On the winter timetable all services are wheelchair accessible. However, on the summer timetable some services may not be wheelchair accessible. Please contact our booking office by phone on +61 3 6236 9116 or email bookings@mtwellingtonexplorer.com.au to confirm which departures are wheelchair accessible. To reserve a space, please let us know by filling in the "Special Requirements" field at the time of booking. 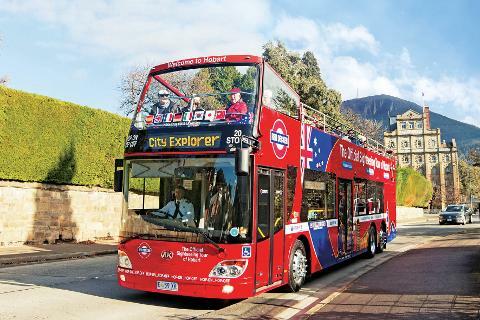 Red Decker’s open-top double decker buses provide unrivalled views of this beautiful city, including local landmarks such as the River Derwent, Tasman Bridge and Mt Wellington as well as an abundance of colonial architecture and city streetscapes. Multilingual commentary is available on the Red Decker City Loop Tour in English French, German, Italian, Japanese, Korean, Mandarin and Spanish. Complimentary earphones are available from your driver.